I recently had the pleasure of appearing on the Get More Success Podcast, where I was grilled about my own entrepreneurial journey, how to set up a successful podcast and top marketing techniques. And the guy who was asking me about all this was Warwick Merry – AKA ‘The Get More Guy’. Warwick’s own journey has been pretty awesome. 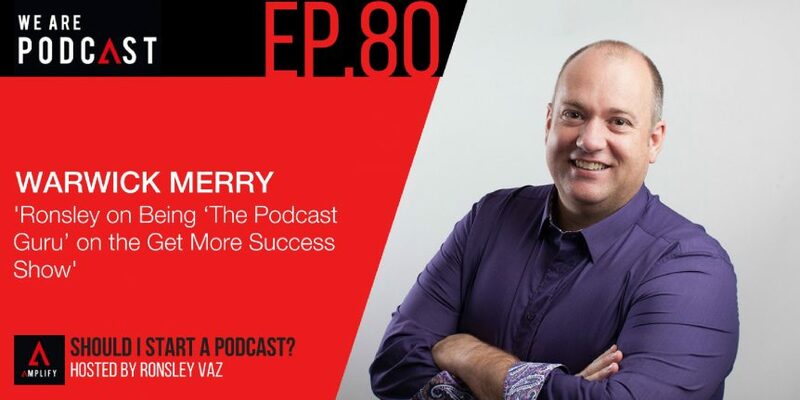 Not only is Warwick a great podcaster, he’s also a professional speaker, consultant, coach and trainer known for his high-energy presentations and seminars. Warwick’s whole thing is getting more out of life, and he helps his clients – who are from all types of different industries – achieve this with incredible results. You’re definitely going to get a lot out of this if you’re interested in improving the quality of your marketing technique, and the content your business outputs.